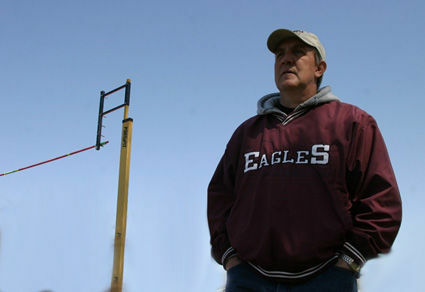 Steve Yockim recently announced his retirement from coaching after 23 years as Sidney's pole vault coach. 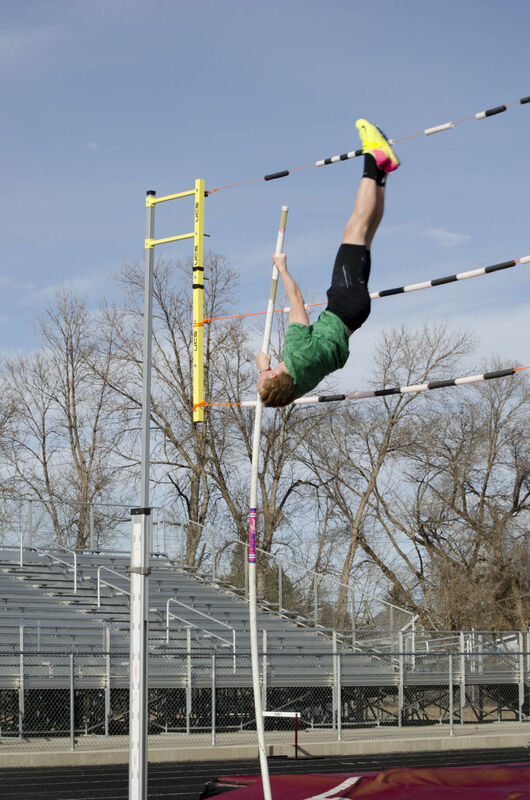 2018 Sidney graduate Garrison Hughes, shown here during his junior year, said he wouldn't have earned a track scholarship from Nebraska if not for his high school pole vault coach Steve Yockim. Sidney's Aubrey Kessel hits the bar of an 11-foot vault during the MHSA Class A & C state track meet on May 22, 2015 at Laurel High School. But that’s what happened. And before Yockim got to his 24th year as Sidney’s pole vault coach, he retired in order to tend to family medical issues he prefers to keep private. In recent years, Yockim also has suffered a stroke and dealt with the shock of his daughter's suicide — events that put coaching into stark perspective. But until this year, he always returned, and he rides off with a resume any coach would envy. Turn back the clock 24 years, and Yockim wouldn’t have imagined any career as a pole vault coach, let alone a long one. Yockim, who moved from Sidney to Miles City when he was 12, was a distance runner and hurdler for the Miles City track team his freshman year, but he quit the sport after that (he wrestled all four years). He knew almost nothing about pole vault when he took the coaching position at Sidney in 1996. At that time, Yockim, now 67, was a math and computer science teacher at Sidney. His daughter, Katy, was in eighth grade, and his oldest son, Zach, was a sixth grader. Both were track athletes (though not pole vaulters), and Yockim wanted to be closer to them when they reached high school. He got his opportunity when Sidney’s pole vault coach quit in 1996. Before that track season, Sidney head coach Steve O’Toole gave Yockim a pole vault book. Yockim later learned that the book was from 1950, shortly before vaulters switched from steel and aluminum poles to ones made of fiberglass or carbon fiber. Yockim, who graduated from Montana State Billings and earned a master’s degree at Montana State, kept coaching after Katy and Zach graduated, and his pole vault knowledge quickly grew. In the last two decades, he never considered coaching another event. A three-time Montana Coaches Association assistant coach of the year, Yockim has watched his pole vaulters win 17 state titles, including seven straight on the girls side from 2007 to 2013. One of those champions (a three-timer) was Leila Ben Youssef, a 2000 high school All-American and 2008 Olympic pole vaulter for Tunisia. His coaching career even outlived Katy. In 2014, she took her own life at the age of 35 after years of struggling with mental health issues, Yockim said. “We like to talk about the good times we had with her, but at the same time, we still miss her,” he said. "When something like that happens, your life changes. Other things become more important." Yockim retired from teaching in December 2015, and though Katy’s death was not the main reason, it played a role, he said. A month later, Yockim began a weeks-long period of vomiting and severe headaches. He went in for an MRI and discovered he had suffered a stroke. While his energy was sapped the next several months, Yockim didn’t think about quitting coaching, largely because of two Sidney freshmen pole vaulters: Garrison Hughes, now a freshman on the Nebraska track team, and Myka Steinbeisser, who currently pole vaults for Arizona State. Hughes, who set the Montana high school pole vault record last season with a jump of 17 feet, said Yockim would often bring up news articles or coaching tips during practices. Sometimes, he would come up to Hughes on the pole vault runway and start to tell a story, oblivious or unconcerned that Hughes was preparing for a jump. Hughes would stand there wondering if he should listen to the rest of Yockim’s story or go ahead with his vault while his coach was talking. Hughes admires Yockim’s knowledge of pole vault and his ability to simplify directions. Before attending Sidney, Hughes barely knew what he was doing in pole vault, he said. “I would not be sitting in my dorm room right now if not for coach Yockim,” Hughes said over the phone from Lincoln on Tuesday. Yockim announced his retirement last month in an email to media outlets, and he attached a document that was more or less his coaching resume. It mentioned his time at Circle (from 1980 to 1983) and Sidney, notable athletes he’s coached, his pole vaulters’ achievements and his individual accolades. Yockim began keeping track of these stats/accomplishments in his second or third season. He couldn’t predict the future, but he had a feeling his career might be worth remembering.